FMNT32.EXE [2.46 MB, Install/Uninstall executable, English, free, unsupported]. WINFILE.EXE (Windows Vista/2008/7/8/8.1/2012/10/2016/newer) + WINFILXP.EXE (Windows NT4/2000/XP/2003) have been customized with improved bitmaps, better 256 colors icons and high resolution (1920x1200 pixels) dialogs + menus (Resource Hacker), patched to use up to 4 GB virtual RAM (4GB Patch) on 64-bit (x64) Windows NTx OSes and CRC corrected (PEChecksum). FMNT32.EXE also installs FM Applic NT 1.1d + FM StepUp NT 3.51 FM Add-ons = see below. FMNT32.EXE unattended installer compiled using Microsoft Internet Explorer Administration Kit (IEAK) 6.0 SP3 (Iexpress, Makecab + Wextract) 32-bit setup toolkit (using INF + SED) (free). See FMNT32.TXT in C:\FileMan for more details. How to install FM in Windows Vista/2008/7/8/8.1/2012/10/2016. FM MSI Installer v1.1 [1 MB, right-click to save!]. MSI installer requires Microsoft .Net Framework Redistributable (NFR) 1.1 or newer (free)! Direct download [153 KB, freeware]. FM Applic NT v1.1d 32-bit File Manager add-on allows to select default right-click program (i.e. Notepad) and up to 6 favorite/frequently used program icons in the FM Toolbar [146 KB, no nag shareware]. Direct download [936 KB, no nag shareware]. Programmers Source Files Sample: How to use add-on DLLs to extend FM functionality [5 KB, free]. 10_BLOCK.ZIP [44.29 KB, free, unsupported]. Extract all files from 10_BLOCK.ZIP into the same folder/directory. Open Explorer → Downloads folder (default location) → right-click 10_BLOCK.CMD (included) → Run as Administrator → restart Windows. Similar Windows 7/8/8.1/10/2016 anti-spyware/privacy tools ➜ see 10_BLOCK.TXT for usage guidelines! Must run/execute/open all these apps/programs/installers (EXE)/scripts (BAT, CMD, REG, VBS) with the Explorer/shortcut right-click "Run as Administrator" option! Direct download [150 KB, free, open source]. Direct download [288 KB, free, open source]. Direct download [620 KB, freeware]. Direct download [1.88 MB, freeware]. Direct download [2.33 MB, freeware]. Direct download [1.65 MB, freeware + donationware]. Direct download [60 KB, freeware]. Direct download [70 KB, freeware]. Direct download [5.4 MB, freeware]. Direct download [433 KB, freeware]. Direct download [1.45 MB, freeware]. Direct download [1.05 MB, freeware: adware! + donationware]. Direct download [83 MB, freeware]. Direct download [197 MB, freeware]. Direct download [220 KB, free, open source]. Direct download [2.4 MB, freeware]. Direct download [163 KB, free, open source]. Direct download [442 KB, freeware]. WUC 64-bit for Windows 8.1 64-bit (x64) [3.6 MB, right-click to save!]. WUC 32-bit for Windows 8.1 32-bit (x86) [3.6 MB, right-click to save!]. WUC 64-bit for Windows 7 SP1 64-bit (x64) [3.2 MB, right-click to save!]. WUC 32-bit for Windows 7 SP1 32-bit (x86) [2.7 MB, right-click to save!]. WUC 64-bit for Windows 8 64-bit (x64) [4.5 MB, right-click to save!]. WUC 32-bit for Windows 8 32-bit (x86) [3.7 MB, right-click to save!]. WUC 64-bit for Windows 7/7 SP1 64-bit (x64) [11 MB]. WUC 32-bit for Windows 7/7 SP1 32-bit (x86) [9.3 MB]. WUC/WUA FixIt! for Windows XP/2003/Vista/2008 [638 KB, right-click to save!]. Microsoft Windows Update Agent (WUA) for Windows 8.1/2012 R2. WUA 64-bit for Windows XP Professional/2003/Vista/2008/7 64-bit (x64) [7.4 MB]. WUA 32-bit for Windows XP/2003/Vista/2008/7 32-bit (x86) [6.5 MB]. to force a NEWer WUA version to install + re-register while an OLDer WUA version is already running and then reboot! Unofficial WUA Redist 7.6.7600.256 32-bit + 64-bit. Direct download [590 KB, freeware]. Windows XP/2003/Vista/2008/7/8/8.1/2012 Updates Info + Tools. X-Setup Pro 32-bit tweaking tool for 32-bit + 64-bit Windows OSes (freeware). Direct download [380 KB, freeware]. Direct download [139 KB, freeware]. Direct download [10.3 MB, freeware]. Direct download [419 KB, freeware]. Direct download [2.95 MB, freeware]. WinAddons nLite software integration CABs. vLite for Windows Vista/2008 (freeware). RT Se7en Lite for Windows 7 (freeware). WinReducer for Windows 7/8/8.1/10 (freeware). NTLite Free for Windows 7/8/8.1/10 (crippled freeware). Direct download [847 KB, freeware]. Direct download [9.03 MB, freeware, right-click to save!]. Windows 2000 requires Microsoft Installer (MSI) [1.73 MB, free]! Direct download [1.3 MB, freeware]. Direct download [434 KB, freeware]. Windows 2003 Unattended Install Guide. TuneXP v1.5 32-bit [discontinued!] for Windows 2000/XP/2003 tweaks tons of hidden system, Registry, GUI, memory + disk settings, highly customizable [464 KB, freeware]. Windows File Protection Switcher (WFPS) v1.0 [discontinued!] for Windows 2000/XP/2003 turns OFF and back ON Windows File Protection (WFP) [31 KB, freeware]. MSConfig: Microsoft Windows 2000/XP/2003 Configuration Utility (MSCONFIG.EXE) (free). Direct download [658 KB, freeware]. See also "Free(ware) WinDOwS Backup + Restore Tools". Direct download [361 KB, freeware, English]. Direct download [268 KB, freeware]. Direct download [359 KB, free GPL]. WT RegCleanerXP v1.20 32-bit for Windows 2000/XP/2003 deletes unnecessary Registry entries to increase system performance [886 KB, freeware]. RegScrubXP v3.25 32-bit for Windows 2000/XP/2003 deletes/backs up obsolete file extensions, user/company names + uninstall Registry entries, highly customizable [580 KB, freeware]. Direct download [345 KB, freeware]. Practical Guide to Alternative Data Streams in NTFS. Hidden Threat: Alternate Data Streams. Cleaning up Alternate Data Streams. The Dark Side of NTFS. ASV 64-bit for Windows Windows XP Professional/2003/Vista/2008/7/8/8.1/2012 64-bit (x64) [63 KB]. ASV 32-bit for Windows Windows NT4/2000/XP/2003/Vista/2008/7/8/8.1/2012 32-bit (x86) [49 KB]. Direct download [382 KB, freeware]. Direct download [31 KB, freeware]. Direct download [80 KB, freeware]. Works together with jsFolderView+ (freeware). Direct download [35 KB, freeware]. Direct download [97 KB, free]. MSKB: How to Use NTFS Alternate Data Streams. WSUS 3.0 SP2 64-bit for Windows XP Professional SP3/2003/Vista/2008 64-bit (x64) [82.8 MB]. WSUS 3.0 SP2 32-bit for Windows XP SP3/2003/Vista/2008 32-bit (x86) [80.5 MB]. WSUS 3.0 SP2 Step-by-step Guide. WSUS 3.0 SP2 Release Notes. WSUS 3.0 SP2 Features + Fixes. WSUS 3.0 SP2 Deployment Guide. WSUS 3.0 SP2 Operations Guide. Direct download [164 KB, English, right-click to save!]. CALCPLUS.EXE [476 KB, English, right-click to save!]. Direct download [4.31 MB, English, right-click to save!]. Requires WMP11 + MS IE 7.0 already installed! Direct download [1.81 MB, English, right-click to save!]. IIS 5.1 Fix for Windows XP/XP SP1/XP SP1a [777 KB]. Windows XP SP2 includes IIS 5.1 Fix! How to install IIS 5.1 on Windows XP Home. IIS 5.0 Fix for Windows 2000/2000 SP1/2000 SP2/2000 SP3 [1 MB]. Windows 2000 SP4 includes IIS 5.0 Fix! IIS 4.0 Fix for Windows NT4 [919 KB]. IIS 5.0 for Windows 2000 Certificate Renewal CERTWIZ.OCX Fix. IIS 5/6 Registry Tool Fix [215 KB]. Active Directory Group Policy Object [1 KB, right-click to save!]. IIS 6.0 Resource Kit (RK) Tools for Windows XP/2003 [5.84 MB]. IIS 4/5/6 SSL Diagnostics Tool v1.0 for for Windows NT4/2000/2003 [445 KB, right-click to save!]. IIS 6.0 for Windows 2003. IISMT [378 KB, right-click to save!]. SFN 5.03 SP2 [1.59 MB, right-click to save!]. SFN 5.03 SP2 Release Notes. iSI Guide [4.63 MB, DOC format, right-click to save!]. AppLocale [1.23 MB, unsupported, right-click to save!]. DELPROF.EXE [306 KB, right-click to save!]. Also part of Windows 2003 Resource Kit (RK) Tools. DELPROF.EXE does NOT work with Windows Vista/2008/7/8/8.1/2012/newer! Delprof2 for Windows 2000/XP/2003/Vista/2008/7/8/8.1/2012 (freeware for non-profit use). Direct download [551 KB, freeware]. Direct download [558 KB, freeware]. Direct download [272 KB, freeware]. Direct download [766 KB, English]. Direct download [202 KB, freeware]. Does NOT work with Windows XP SP2 or XP SP3! Direct download [288 KB, freeware]. Direct download [159 KB, freeware]. Direct download [25 KB, donationware]. Microsoft Windows XP/2003 High performance Media Access Technology (HighMAT) CD/DVD standard allows creation and playback of digital interactive multimedia/audio/video/image mixed CD/DVD content and menus on HighMAT compatible computer CD/DVD drives and consumer electronics CD/DVD players (English). HighMAT CD Writing Wizard [4.28 MB]. HighMAT PC Viewer [823 KB]. Power Toys: Microsoft Power Toys for Windows 2000/XP/2003/Vista/2008/7/8/8.1/2012. TweakUI: Microsoft TweakUI Power Toy for Windows NT4/2000/XP/2003. Plus! Digital Media Edition (DME): Microsoft Plus! Digital Media Edition (DME) v1.1 for Windows XP/XP MCE/2003: Photo Story 2 with Video CD Burning, Party Mode, Dancer, Analog Recorder, Audio Converter, CD Label Maker, Alarm Clock, Sleep Timer, Sync & Go for Pocket PC + 50 Effects and Transitions for Movie Maker 2. Buy Plus! DME @ Amazon.com [retail, $20]. Plus! DME Audio Converter Update 1 [245 KB, English]. Plus! DME Update 3 [21.9 MB, English]. See "THE PLUS! PACKS", also in TIPS95.TXT (part of W95-11D.EXE), for more details. Buy Plus! SuperPack @ Amazon.com [retail, $30]. Direct download [104 KB, English]. Plus! XP Service Pack 1 (SP1) [386 KB, English]. Plus! XP Labyrinth Update [2 MB]. Plus! XP CD Label Templates Update [106 KB]. Plus! Game Pack: Microsoft Plus! Game Pack for Windows 9x/NT4/2000/ME/XP/2003 - Cards & Puzzles: 12 classic Bicycle Card games, 10 Puzzle games + Pandora's Box puzzle game trial version @ Amazon.com [retail, $20]. Pandora's Box Demo [15.5 MB, English]. Direct download [984 KB, English + French]. Direct download [2.26 MB, English, right-click to save!]. Windows Live Movie Maker for Windows Vista/2008/7. Direct download [7.01 MB, right-click to save!]. MM2 2.1 for Windows XP SP2 installs as part of Windows XP SP2! MM2 2.1 for Windows XP FAQ. MM2 2.0 for Windows XP Release Notes. MM2 for Windows XP Guide. MM2 2.1 for Windows XP SP2 Multilingual User Interface (MUI) Packs. WMP: Microsoft Windows Media Player 10.0 (WMP10), 11.0 (WMP11) + WMP 12.0 (WMP12) for Windows XP/XP MCE/2003/7. WIC 64-bit for Windows XP Professional SP2/2003 64-bit (x64) [1.82 MB]. WIC 32-bit for Windows XP SP2/2003 32-bit (x86) [1.16 MB]. Windows Vista, 2008, 7, 8, 8.1, 2012 + newer include WIC! Direct download [25 KB, freeware]. Supports BMP, GIF, JPG, PNG + TIFF image formats. Extract WIAAUT.CHM, WIAAUT.CHI + WIAAUT.DLL from wiaautsdk.zip. Copy WIAAUT.CHM + WIAAUT.CHI to your %windir%\HELP directory/folder (%windir% = C:\WINDOWS). Copy WIAAUT.DLL to your %windir%\SYSTEM32 directory/folder (%windir% = C:\WINDOWS). MCCP 64-bit for Windows 8.1 64-bit (x64). MCCP 32-bit for Windows 8.1 32-bit (x86). MCCP 64-bit for Windows 8 64-bit (x64). MCCP 32-bit for Windows 8 32-bit (x86). MCCP 64-bit for Windows Vista SP2/2008/7 64-bit (x64) [17 MB]. MCCP 32-bit for Windows Vista SP2/2008/7 32-bit (x86) [10 MB]. WLPG [2 MB, Setup stub only]. RAW: RAW Image Thumbnailer and Viewer v1.0 for Windows XP SP2/2003 [5.8 MB]. RAW Image Thumbnailer and Viewer requires Microsoft .Net Framework Redistributable (NFR) (free)! View + Organize Camera RAW Images DOCument [2.2 MB, DOC format, right-click to save!]. JPEGView: JPEGView 32-bit + 64-bit: improved WANG/Kodak Imaging (Win9x/NT4/2000/ME), Windows Picture & Fax Viewer (WinXP/2003), Windows Photo Gallery (WinVista/2008) + Windows Photo Viewer (Win7/8/8.1/2012/10) replacement (free, open source). Nikon RAW (.NEF) Codec for Windows Vista SP2/7 SP1/8.1. Nikon RAW (.NRW) Codec for Windows XP SP3/Vista SP2/7 SP1/8/8.1. Sony RAW (.ARW, .SR2, .SRF) Driver for Windows Vista/7/8/8.1. Canon RAW (.CRW, .CR2) Codec Software for Windows XP SP3/Vista/7/8 32-bit (x86) ONLY. Does NOT support Windows NTx (XP/2003/Vista/2008/7/8/8.1/2012/newer) OSes 64-bit (x64)! Ricoh/Pentax RAW (.PEF) Codec Software for Windows Vista/7/8 32-bit (x86) ONLY. Olympus RAW (.ORF) Codec Software for Windows XP/Vista/7/8. Panasonic LUMIX RAW (.RW2) Codec software for Windows Vista/7 32-bit (x86) ONLY. Adobe DNG Converter ReadMe PDF. Wikipedia: List of cameras + recorders with RAW support. Wikipedia: Free(ware) Software with RAW support. Fixed Card Driver 64-bit for Windows 7 64-bit (x64) [250 KB]. Fixed Card Driver 32-bit for Windows 7 32-bit (x86) [240 KB]. Fixed Card Driver 64-bit for Windows 2008 R2 64-bit (x64) [250 KB]. Windows Vista Pre-SP2/2008 Pre-SP2 Hotfix request (English). Windows Vista SP2, 7 SP1, 2008 SP2, 2008 R2 SP1, 8, 8.1, 2012, 2012 R2, 10 + newer include Fixed Card Driver! Microsoft exFAT Drivers + Service Packs (SPs) for Windows XP SP3/2003 SP2/Vista Pre-SP2. Windows Vista SP2, 2008, 2008 R2, 7, 8, 8.1, 2012, 10 + newer include exFAT Drivers! PS3 [5.02 MB, right-click to save!]. Requires DirectX 9.0/newer + WMP10/newer already installed! PS3 + Digital Photography Guide. Aurora, Bubbles, Mystify + Ribbons from Windows Vista [1.13 MB]. Direct download [637 KB, right-click to save!]. Direct download [542 KB, right-click to save!]. Direct download [11 MB, right-click to save!]. UXTHEME.DLL Multi-Patcher for Windows XP/2003/Vista/2008/7. UxStyle Themes Service 32-bit + 64-bit for Windows XP/2003/Vista/2008/7. Transform Windows XP into Windows Vista without Customization Pack. Seven Remix XP [22 MB]. 7 Transformation Pack (7TP) [27 MB]. Vista Transformation Pack (VTP) [27 MB]. Vista Visual Styles [1.5 MB]. Windows 2003 → XP Conversion Pack [3.6 MB]. Microsoft Desktop Themes for Windows Vista/2008/7/8/8.1/2012. Longhorn Transformation Pack [21 MB]. XPize Transformation Pack [8 MB]. Zune [1.64 MB, right-click to save!]. Direct download [6.26 MB, right-click to save!]. Chinese New Year in 3 Languages: Chinese Simplified, Traditional + Hong Kong. Direct download [2.36 MB, right-click to save!]. Direct download [2.62 MB, right-click to save!]. Direct download [2.56 MB, right-click to save!]. Direct download [4.53 MB, right-click to save!]. Direct download [4.83 MB, right-click to save!]. Direct download [1.28 MB, right-click to save!]. Direct download [4.42 MB, right-click to save!]. Direct download [6.9 MB, right-click to save!]. Direct download [2.74 MB, right-click to save!]. Direct download [1.07 MB, right-click to save!]. Direct download [1.56 MB, right-click to save!]. Direct download [1.38 MB, right-click to save!]. Direct download [1.14 MB, right-click to save!]. Direct download [2.58 MB, right-click to save!]. Direct download [5.46 MB, right-click to save!]. Direct download [11.4 MB, right-click to save!]. Winter 2004 Fun Pack for Windows XP SP2/XP MCE 2005 + WMP10 [18.9 MB, right-click to save!]. DP Spring 2003 Pack [4.34 MB]. DP Winter 2003 Pack [6.57 MB, right-click to save!]. DP Holiday 2003 Pack [2.75 MB]. DP Creativity Pack [4.42 MB]. WMP9 Winter 2003 Pack [3.44 MB, right-click to save!]. WMP9 Creativity Pack [2.67 MB]. Half Life 2 WMP9 Skin [3.23 MB]. MM2 Winter 2003 Pack [14.4 MB, right-click to save!]. MM2 Creativity Pack [24.2 MB]. Power Toys Fun Pack [1.57 MB]. Microsoft .Net Framework Redistributable (NFR) (free). Windows Media Player 10 (WMP10) to use Media Transfer. TZ Premium [780 KB, right-click to save!]. TZ Standard [780 KB, right-click to save!]. Both require Microsoft .Net Framework Redistributable (NFR) (free)! Direct download [650 KB, right-click to save!]. Requires Microsoft .Net Framework Redistributable (NFR) (free)! WMF Core 64-bit for Windows 2008/2008 SP2 64-bit (x64) [34.2 MB, right-click to save!]. WMF Core 32-bit for Windows 2008/2008 SP2 32-bit (x86) [32.4 MB, right-click to save!]. WMF Core 64-bit for Windows Vista SP1/Vista SP2 64-bit (x64) [34.2 MB, right-click to save!]. WMF Core 32-bit for Windows Vista SP1/Vista SP2 32-bit (x86) [32.4 MB, right-click to save!]. WMF Core 64-bit for Windows 2003 SP2 64-bit (x64) [9.9 MB]. WMF Core 32-bit for Windows 2003 SP2 32-bit (x86) [6 MB]. WMF Core 32-bit for Windows XP SP3/XP Embedded SP3 32-bit (x86) [6 MB]. WMF BITS 4.0 64-bit for Windows 2008 SP2 64-bit (x64) [1.9 MB, right-click to save!]. WMF BITS 4.0 32-bit for Windows 2008 SP2 32-bit (x86) [1.5 MB, right-click to save!]. WMF BITS 4.0 64-bit for Windows Vista SP2 64-bit (x64) [1.9 MB, right-click to save!]. WMF BITS 4.0 32-bit for Windows Vista SP2 32-bit (x86) [1.5 MB, right-click to save!]. BITS 4.0 is NOT compatible with Windows XP! Windows XP requires BITS 2.5 Update! Windows PowerShell 2.0 requires Microsoft .Net Framework Redistributable (NFR) 2.0 SP1 (free)! PowerShell 2.0 Integrated Scripting Environment (ISE) + Out-GridView require Microsoft .Net Framework Redistributable (NFR) 3.5 SP1 (free)! Windows 7 includes PowerShell 2.0! WMF Release Notes RTF DOCument [1 MB, right-click to save!]. PowerShell 2.0 HTML Help [2.59 MB]. PowerShell 64-bit for Windows Vista/Vista SP1 64-bit (x64) [5.2 MB, right-click to save!]. PowerShell 32-bit for Windows Vista/Vista SP1 32-bit (x86) [5.03 MB, right-click to save!]. PowerShell 64-bit for Windows 2003 64-bit (x64) [2.2 MB]. PowerShell 64-bit for Windows XP Professional 64-bit (x64) [2.2 MB]. PowerShell 32-bit for Windows 2003 SP1/2003 SP2 32-bit (x86) [1.61 MB]. PowerShell 32-bit for Windows XP SP2/XP SP3 32-bit (x86) [1.61 MB]. Windows 2008 includes PowerShell 1.0! PowerShell English Documentation Pack [356 KB]. PowerShell Localized (Multilingual) Documentation Pack [4.2 MB]. PowerShell MUI Pack 64-bit for Windows 2003 64-bit (x64) [10.4 MB]. PowerShell MUI Pack 64-bit for Windows XP Professional 64-bit (x64) [10.4 MB]. PowerShell MUI Pack 32-bit for Windows 2003 SP1 32-bit (x86) [4.3 MB]. PowerShell MUI Pack 32-bit for Windows XP SP2 32-bit (x86) [4.2 MB]. Direct download [2.5 MB, free, open source]. ConEmu ANSI Escape Sequence Codes. Direct download [99 KB, free, open source]. Direct download [31 KB, free, open source]. Direct download [476 KB, free, open source, right-click to save!]. Requires Microsoft .Net Framework Redistributable (NFR) 4.0 (free)! The Ultimate Guide to Keyboard Remapping using SharpKeys. 4 Better Windows Console Tools Alternatives to Windows Built-in Command Prompt. Wikipedia: Comparison of Platform Virtual Machines. FindTheBest.com: Compare Virtualization Software & Hypervisors. Virtual Machine (VM) Tools + Emulators for DOS OSes. Emulators: DOSBox CPU, Video + Sound DOS emulator for all Windows 32-bit + 64-bit OSes (free GPL). Emulators: JPC, JsPC, jDOSBox + JsDOSBox DOS emulators running from within modern web browser for most modern OSes (free GPL). Emulators: PCem CPU, Memory, Drives, Video + Sound DOS emulator for most DOS 16-bit OSes (freeware). Direct download [88 MB, free GPL]. VirtualBox Extension Pack [12 MB, free PUEL] provides support for USB 2.0 and Intel RDP + PXE. QEMU for Windows 32-bit (Win32) OSes [6 MB]. QEMU Port for Windows 32-bit (Win32) OSes. QEMU Manager for Windows 32-bit (Win32) OSes. QEMoon for Windows 32-bit (Win32) OSes. QtEmu GUI for Windows 32-bit (Win32) OSes. Direct download [3.68 MB, free GPL]. Direct download [397 KB, free GPL]. VPC 64-bit for Windows 7 64-bit (x64) [16.2 MB, right-click to save!]. VPC 32-bit for Windows 7 32-bit (x86) [15.3 MB, right-click to save!]. VPC requires AMD or Intel x86/x64 CPU(s) with hardware assisted virtualization capabilities enabled in the motherboard BIOS! Windows XP Mode [496 MB, English]. XP Mode Update 64-bit for Windows 7 Pre-SP1 64-bit (x64) [4.11 MB]. XP Mode Update 32-bit for Windows 7 Pre-SP1 32-bit (x86) [3.71 MB]. Windows 7 SP1 installs XP Mode Update! Disk2vhd creates Virtual Hard Disk (VHD) images for use with in VPC/Hyper-V VMs (Virtual Machines) (free). Ars Technica: Windows 7's XP Mode: what it is, how it works, who it's for. VPC2007 SP1 64-bit for Windows XP Professional/2003/Vista/2008 x64 (64-bit) [31.8 MB]. VPC2007 SP1 32-bit for Windows XP/2003/Vista/2008 x86 (32-bit) [31.7 MB]. VPC2007 SP1 Fix 64-bit for Windows XP Professional SP2/2003 SP2/Vista/2008 64-bit (x64) [236 KB]. VPC2007 SP1 Fix 32-bit for Windows XP SP3/2003 SP2/Vista/2008 32-bit (x86) [210 KB]. VPC2007 SP1 Hotfix Rollup Package 64-bit for Windows XP Professional/2003/Vista/2008 64-bit (x64) [23.6 MB, right-click to save!]. VPC2007 SP1 Hotfix Rollup Package 32-bit for Windows XP/2003/Vista/2008 32-bit (x86) [23.5 MB, right-click to save!]. VPC2007 SP1 64-bit (x64) + VPC2007 SP1 Hotfix Rollup Package 64-bit (x64) require computer with AMD or Intel 64-bit x86 compatible CPU(s)! How to install + run VPC2007 on Windows XP Home. How to install + run VPC2007 on Windows 2000. Direct download [180 KB, English]. HAV Detection Tool User Guide MHT (compressed HTML Help) [881 KB, right-click to save!]. HAV Detection Tool Privacy Statement (also available in MHT format). VS2005 R2 SP1 Setup 64-bit for Windows XP Professional/2003/Vista/2008 64-bit (x64) [43.6 MB]. VS2005 R2 SP1 Setup 32-bit for Windows XP Professional/2003/Vista/2008 32-bit (x86) [40.7 MB]. VS2005 R2 SP1 Update 64-bit for Windows XP Professional/2003/Vista/2008 64-bit (x64) [33.6 MB, right-click to save!]. VS2005 R2 SP1 Update 32-bit for Windows XP Professional/2003/Vista/2008 32-bit (x86) [30.3 MB, right-click to save!]. VS2005 R2 SP1 64-bit (x64) + VS2005 R2 SP1 Update 64-bit (x64) require computer with AMD or Intel 64-bit x86 CPU(s)! Direct download [freeware for personal use, requires e-mail registration + activation!]. Direct download [freeware, requires e-mail registration!]. Online ClearType Tuner (4 steps). ClearType Tuner Power Toy for Windows XP/2003 [2.47 MB, English]. Direct download [773 KB, freeware]. MDT 64-bit for Windows XP Professional/2003/Vista/2008/7 64-bit (x64) [22.4 MB, right-click to save!]. MDT 32-bit for Windows XP/2003/Vista/2008/7 32-bit (x86) [22 MB, right-click to save!]. 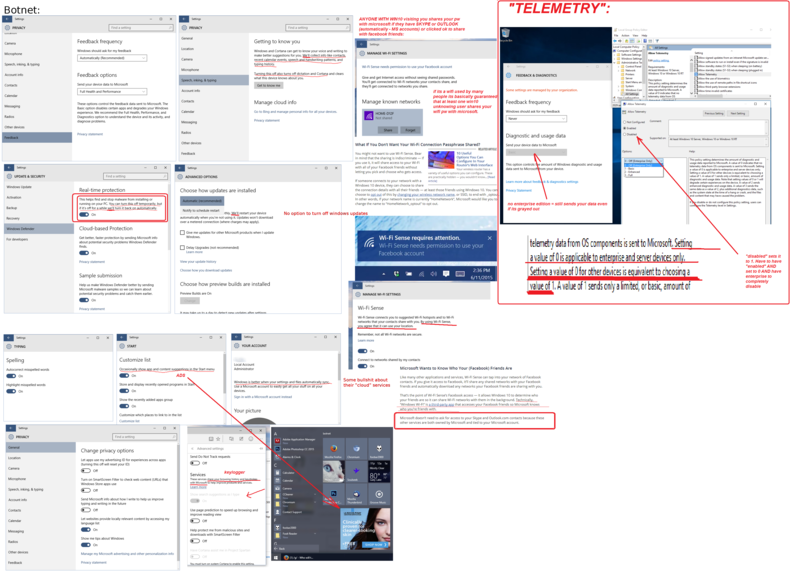 MDT 2012 Documentation [9.7 MB]. MDT Release Notes [1.2 MB, DOCX format, right-click to save!]. What's New in MDT Guide [103 KB, DOCX format, right-click to save!]. MS TechNet: Desktop Deployment Guide. AIK [1.7 GB, DVD ISO Image, right-click to save!]. ACT v5.6 for Windows 2000 SP4/XP SP3/2003 SP1/Vista/2008/7 [12.2 MB]. Microsoft .Net Framework Redistributable (NFR) 3.5 (free). ACT 5.6 ReadMe [494 KB, PDF + XPS formats]. ACT FAQ [544 KB, PDF + XPS formats]. ACT 5.6 Deployment Guide [1.31 MB, PDF + XPS formats]. ACT Quick Start Guides [3.3 MB, PDF + XPS formats]. ACT Step by Step Guide [788 KB, PDF + XPS formats]. Journal Viewer 1.5 Multilingual User Interface (MUI) Pack [4.5 MB]. Requires (and installs as part of) Microsoft .NET Framework Redistributable (NFR) 3.0 or newer (free)! Windows Vista, 2008 + 7 install XPS Viewer! XPS EP 64-bit for Windows Vista/2008 64-bit (x64) [2.8 MB, right-click to save!]. XPS EP 32-bit for Windows Vista/2008 32-bit (x86) [1.91 MB, right-click to save!]. XPS EP 64-bit for Windows XP Professional/2003 64-bit (x64) [9.7 MB, right-click to save!]. XPS EP 32-bit for Windows XP SP2/2003 SP1 32-bit (x86) [7.47 MB, right-click to save!]. Requires MSXML 6.0 already installed! Direct download [7.25 MB, right-click to save!]. Microsoft SQL Server 2008 Reporting Services. Microsoft .Net Framework Redistributable (NFR) 3.51 SP1 or newer (free). or Microsoft SQL Server System CLR Types 32-bit for Windows 2003 SP2/Vista SP2/2008/7/8 32-bit (x86) [2.1 MB, right-click to save!]. NM3 64-bit for Windows XP Professional/2003/Vista/2008/7 64-bit (x64) [6.52 MB]. NM3 32-bit for Windows XP/2003/Vista/2008/7 32-bit (x86) [6.11 MB]. Direct download [2.21 MB, right-click to save!]. IP Refresh Lite: IP Refresh Lite v1.1.9 32-bit for Windows NT4/2000/XP/2003 DHCP client diagnostic tool, Microsoft IPCONFIG.EXE + WNTIPCFG.EXE replacement [1.16 MB, freeware]. Requires Microsoft .Net Framework Redistributable (NFR) 1.1 or newer (free)! Both require Microsoft .Net Framework Redistributable (NFR) 1.1 or newer (free)! MBSA.EXE 2.2 64-bit for Windows XP Professional/2003/Vista/2008/7 64-bit (x64) [1.69 MB]. MBSA.EXE 2.2 32-bit for Windows 2000/XP/2003/Vista/2008/7 32-bit (x86) [1.54 MB]. UPHCLEAN.EXE [329 KB, English, right-click to save!]. SQLIO.EXE [231 KB, English, right-click to save!]. Account Passwords and Policies in Windows NT4/2000/2003. Direct download [2.36 MB, free GPL, requires free registration!]. HFNETCHK Advanced Windows Hotfix Manager (WHC) front end GUI v3.2. HFNETCHK FE front end GUI v2.1.0. 7 Tools to Unlock Hard to Delete Files. 4 Tools to Delete Locked Files. INUSE.EXE 4.71.1015 for Windows 2000/XP/2003 [790 KB]. INUSE.EXE 1.31 for Windows 2000 [40 KB]. INUSE.EXE 1.30 for Windows NT 4.0 [23 KB]. See "MS IE 5.5 SP2 + 6.0 FIX" paragraph 6, also in MYTIPS95.TXT (part of W95-11D.EXE), for more details. Direct download [1.02 MB, donationware + ADWARE!]. Direct download [1.4 MB, freeware]. Direct download [9 KB, freeware]. Components may be needed [62 KB]. Direct download [707 KB, freeware]. Direct download [164 KB, freeware]. Direct download [22 KB, freeware]. Direct download [36 MB, freeware]. Direct download [11 MB, freeware]. Direct download [83 KB, free, right-click to save!]. Direct download [134 KB, free]. BOOTVIS.EXE 1.3.37 [968 KB, right-click to save!]. OLD BOOTVIS.EXE 1.0.0.1 [328 KB]. Intel Pentium 4 CPU With Hyper-Threading BootVis errors + fix. Fast Boot DOCument [378 KB]. SPCHECK.EXE for Windows XP [34 KB]. SPCHECK.EXE for Windows 2000 [96 KB]. SPCHECK.EXE for Windows NT 4.0 [175 KB]. Direct download [2.7 MB, English]. Requires correct WIN32K.SYS Symbol file for each Win32 OS! MSKB: Out of Memory Errors With Many Programs Running. XP SP2 Support Tools [4.7 MB]. Does NOT work with 3rd party/add-on/proprietary (E)IDE/RAID/SCSI/SATA/SAS/RAID drive controllers! DebugDiag [4.9 MB, right-click to save!]. RSAT 64-bit (x64) [240 MB, right-click to save!]. RSAT 32-bit (x86) [230 MB, right-click to save!]. Requires Microsoft .Net Framework Redistributable (NFR) 2.0 or newer (free)! RK Tools [11.7 MB, English]. Windows 2000 Resource Kit (RK) Tools for administrative tasks. Direct download [36 KB, freeware]. Direct download [4.4 KB, English]. Windows Vista, 2008, 7, 8, 8.1, 2012 + 10 include TakeOwn! TakeOwn installs as part of Microsoft Windows 2000 Server Resource Kit (RK) companion CD-ROM. MS TechNet: TakeOwn Guide for Windows 2003. MSKB: How to Use TakeOwn to Manage Shares in Windows NT 4.0. TakeOwn can be used together with CACLS, ICACLS, XCACLS, SetACL or SubInACL to change file/folder ownership/permissions on NTFS drives/partitions/volumes. More info: see "BUGs + FIXes" section → "FIX #2:". Ownership Windows Explorer shell extension right-click context menu (freeware). Permissions Time Machine resets/restores folders/subfolders, files, registry, services, processes + WMI objects permissions (freeware). MSKB: How to use XCACLS.EXE to modify NTFS permissions. MSKB: How to use XCACLS.VBS to change NTFS permissions. Direct download [445 KB, freeware]. Direct download [371 KB, right-click to save!]. NTFSACL.CFG [712 B, right-click to save!]. Direct download [2.03 KB, freeware]. SCM White Paper [415 KB, DOC, right-click to save!]. MS TechNet: Security Configuration Guide. Enable Security Tab in Windows XP Home. MSAT 4.0 [8.37 MB, English]. Microsoft SQL Server Compact Edition (CE) 3.5. MS IE 6.0 or newer. Direct download [7 KB, English]. Direct download [200 KB, English]. Direct download [102 KB, free open source]. UPTIME.EXE does NOT work with Windows Vista/2008/7/8/8.1/2012/newer! XP Professional RTM (no SP) BFD. XP Home RTM (no SP) BFD. XP Professional SP2/XP Professional SP3 BFD. XP Home SP2/XP Home SP3 BFD. MSKB: How to Create an NTFS/FAT Bootable Disk in Windows XP. GPMC.EXE [5.55 MB, right-click to save!]. Windows XP SP1/XP SP1a require GPEDIT.DLL Hotfix already installed! Windows XP Pre-SP2 requires Microsoft .Net Framework Redistributable (NFR) (free)! Group Policy in Windows 2003 DOCument [660 KB, right-click to save!]. Microsoft Windows 2000/XP/2003/Vista/2008/7/8/8.1/2012 Group Policy Settings [Excel XLS format, right-click to save!]. GP Plan Deploy DOC [1 MB, DOC format, right-click to save!]. GP Infrastructure DOC [1 MB, DOC format, right-click to save!]. MS TechNet: Windows Server: Group Policy. MS TechNet: Group Policy Collection. MSDN: Step-by-Step Guide to Understanding Group Policy. Windows 7: Group Policy management for IT pros. MSKB: How to use Group Policy to remotely install software in Windows 2003 + 2008. Microsoft removed Group Policy Editor (GPE) [respectively GPEdit.DLL + gpedit.msc] from all Home and Starter Editions of Windows XP/Vista/7/8/8.1/10! FIX: GPEDIT.MSC snap-in creation failed/failed to initialize. GPE registry entries for Windows XP Home. Direct download [192 KB, freeware]. See "BROWSER CACHE IN MEMORY", also in REGISTRY.TXT (part of W95-11D.EXE), for more details. RAMDisk v3.5 RC1 32-bit + 64-bit for Windows 2000/XP/2003/Vista/2008/7 freeware for maximum RAM drive size 4 GB, for larger sizes must pay $10 (USD) [3 MB, crippled freeware, right-click to save!]. OLD RAMDisk9xME v1.5 32-bit for Windows 9x/ME maximum RAM drive size 1 GB [629 KB, freeware]. OLD RAMDiskXP v2.0 32-bit for Windows 2000/XP maximum RAM drive size 4 GB [10.2 MB, freeware]. OLD RAMDiskSE v1.0 32-bit for Windows Server 2000/2003 maximum RAM drive size 4 GB [3.5 MB, freeware, right-click to save!]. RAMDisk 3.5x Manual [774 KB, PDF, right-click to save!]. Direct download [743 KB, crippled freeware]. Direct download [248 KB, freeware]. Direct download [983 KB, freeware]. Stay Secure DOCs [781 KB]. ERUNTgui front end GUI for Windows 2000/XP/2003/Vista/2008/7 (freeware). Direct download [119 KB, free GPL]. Windows XP requires Microsoft .Net Framework Redistributable (NFR) (free)! Direct download [1.97 MB, freeware]. Direct download [2.44 MB, freeware]. Direct download [1.43 MB, freeware]. Direct download [1.14 MB, freeware]. Direct download [69 KB, freeware]. Direct download [106 KB, free GPL]. Direct download [596 KB, free GPL]. Direct download [172 KB, freeware]. Direct download [1.7 MB, free GPL]. VDMS Launch Pad [202 KB, freeware]. DOSBox CPU, Video + Sound DOS emulator for all Windows OSes 32-bit + 64-bit (free GPL). ScummVM Sound emulator for DOS games (free GPL). SoundFX 2000 2.04 [293 KB, free, open source]. Run this REG file to disable the obsolete 3 minute evaluation limit [90 B, right-click to save!]. Direct download [100 KB, free]. CAUTION: IMAGECFG.EXE modifies IRREVERSIBLY EXE/DLL files and thus may adversely affect performance! BACKUP original files FIRST! How to permanently set processor affinity for an application. PriFinitty, Set_Affinity + GnS_Affinity (freeware). MSKB: How to use 4GT RAM Tuning feature. 4GB Patch: 4GB Patch (freeware) allows 32-bit executables to use up to 4 GB virtual memory with 64-bit Windows OSes. ReadyFor4GB: ReadyFor4GB Patch (free) allows Windows Vista/7 32-bit (x86) OSes to use all physical memory (RAM) up to 128 GB beyond the 3.5 GB limit. Similar > 4 GB RAM Patch. 4GB Memory Limit in Windows Vista/2008/7/8/8.1/2012 32-bit OSes. MS TechNet Blog: Pushing The Limits of Windows Physical Memory. Direct download [4.41 MB, freeware]. Direct download [1.04 MB, freeware + bundled ADWARE!]. Direct download [833 KB, free GPL]. Direct download [415 KB, freeware]. Direct download [5.14 MB, freeware for personal use]. Direct download [421 KB, freeware]. Direct download [148 KB, public domain]. Direct download [131 KB, free GPL]. Direct download [151 KB, freeware]. Direct download [3.89 MB, crippled freeware, right-click to save!]. Windows NT4/2000 require Microsoft Installer (MSI) [1.73 MB, free]! Direct download [23 KB, freeware]. Direct download [797 KB, freeware]. WinLauncherXP v2.0.5 Beta 32-bit for Windows 2000/XP/2003 boosts SMP affinity, application priority level, Windows state and translucency while launching programs/games for better performance [590 KB, freeware]. Direct download [236 KB, freeware]. Requires Microsoft Visual Basic 6 (VB6) Runtime Libraries (free)! Direct download [910 KB, freeware]. Direct download [15.5 MB, freeware]. DesktopX Widgets, Objects, Themes + Utilities (free). Direct download [6.16 MB, freeware]. Direct download [12 MB, crippled freeware]. Direct download [8.9 MB, freeware]. Direct download [1.46 MB, freeware]. Direct download [4.6 MB, crippled freeware]. Direct download [944 KB, freeware]. Boot Screen [100 KB, freeware]. Direct download [14.2 MB, freeware]. Direct download [7.53 MB, freeware]. Direct download [591 KB, freeware]. Direct download [570 KB, nag shareware]. ChameleonXP v1.90 32-bit NTOSKRNL.EXE Boot Logo editor for Windows XP, includes skins, Skin Manager + Skin Editor [1.11 MB, freeware]. Direct download [791 KB, freeware]. Direct download [987 KB, freeware]. Direct download [187 KB, freeware]. Direct download [144 KB, freeware]. Direct download [55 KB, freeware]. Direct download [344 KB, freeware]. Direct download [235 KB, freeware]. StartBtn Renamer v2.02 32-bit for Windows XP replaces the Start button label with any other text up to 255 characters [366 KB, freeware]. Direct download [394 KB, freeware]. XP ZIP Support Control v1.0.0 32-bit for Windows XP installs/uninstalls built-in ZIP Folders control [36 KB, freeware]. Direct download [122 KB, freeware]. Prefetch Clean And Control v1.2.0 32-bit for Windows XP tweaks Prefetch parameters and deletes Prefetch log [28 KB, freeware]. Direct download [196 KB, free GPL, right-click to save!]. CrystalXP Windows XP/Vista/7 desktop, shell + themes tools.